Giving to the Annual Fund rose 41 percent for the fiscal year ending June 30, 2012. “At $3.1 million, we have exceeded the $2.5 million goal,” announced Derek Wittner, Vice President for Alumni Affairs and Development. 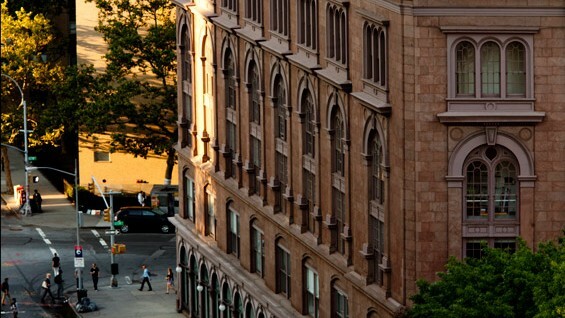 The Cooper Union received a total $9.7 million in fiscal 2012, including the Annual Fund gifts. The alumni participation rate rose 3 points to 25 percent, an increase of 15 percent over the previous year, generating $2.2 million of the $3.1 million total. The parent participation rate rose 7 points to 36 percent, an increase of 24 percent over the previous year, generating $360,000. The student participation rate was 69 percent with more than 90 percent of the senior class taking part. Dollars were up dramatically by 360 percent to $25,600. Read the President's Memo here.